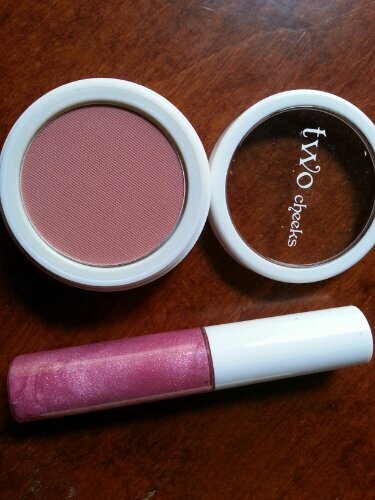 I used code IPSTER to get 25% off plus a FREE lip gloss and FREE shipping at TwoCosmetics.com. In my April Ipsy bag I got the pink “heartache” duo eyeshadow in a matte & shimmer, and I kept checking out their website because I liked the texture of the powder eyeshadow. I almost bought The Mini Daily Palette, but I opted just for “runway” blush, though I almost also bought the “princess” pink color out of curiosity. I paid $5.50 (including CA tax) total! 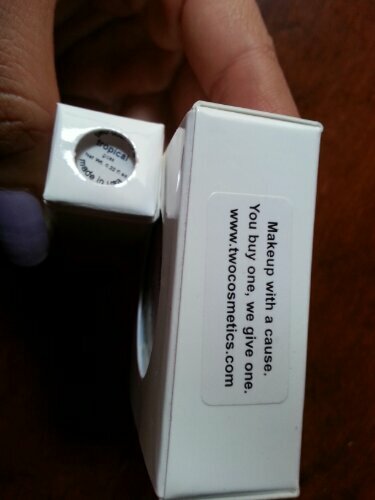 I don’t know how visible the text is, but they donate a makeup item for each one purchased. 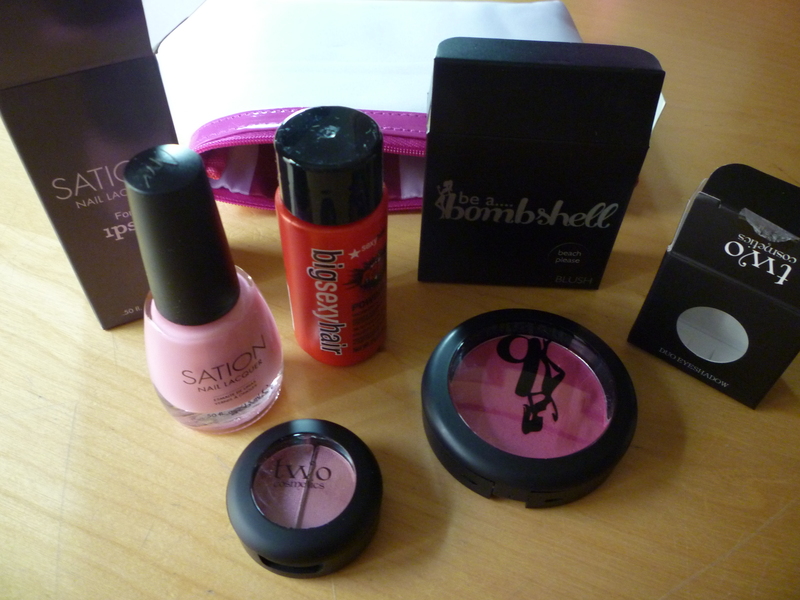 They are like the Tom’s for makeup! 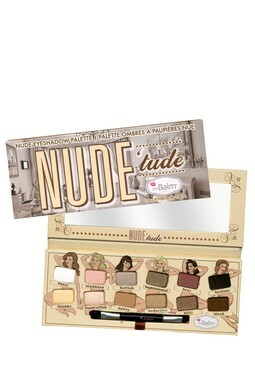 It’s better than drugstore quality for very reasonable pricing, I almost feel like I cheated with the discount code! 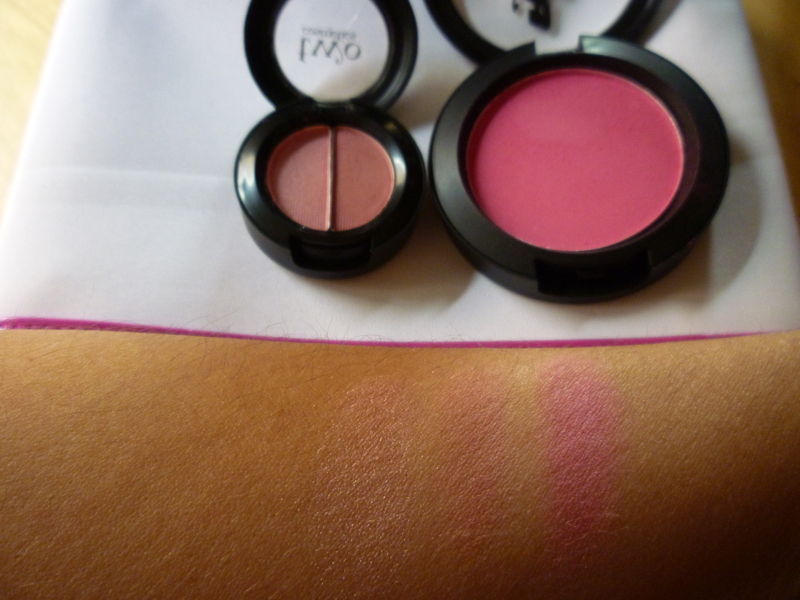 I would definitely recommend this blush. 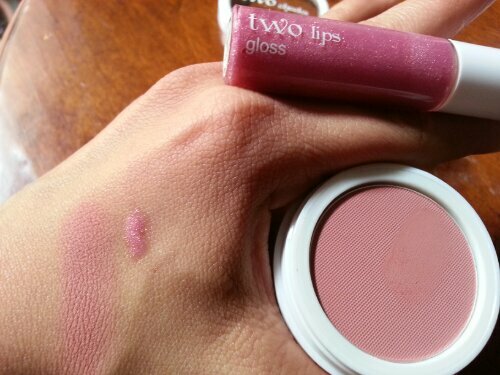 It is a soft, matte formula, not a crazy shade, very wearable. I own too many lip glosses! This will be used on top of a lipstick, I wouldn’t wear it alone. It is too sheer for me, I like a little more color on my lips. Ill give it another try on its own tomorrow!